Every February, the American Dental Association (ADA) and dentists across the country celebrate National Children’s Dental Health Month. Why? To raise awareness about the importance of oral health starting at a young age. Developing good habits at an early age, building a positive relationship with a family dentist and scheduling regular dental visits helps children to get a good start on a lifetime of healthy teeth and gums. And it can be fun, too! 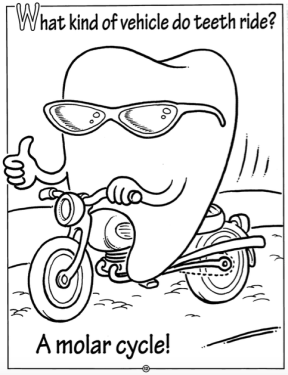 In honor of Children’s Dental Health Month, we’re sharing some of our favorite coloring pages. Download them here and share them with your children. If it’s their first trip to the dentist, use this tool to help get them excited about coming. We’re honored to provide your family dentistry needs and look forward to seeing all of our patients, of all ages!